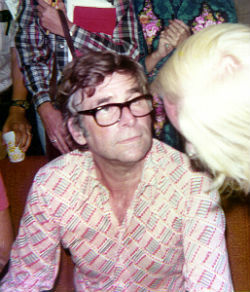 In a newly released interview, Gene Roddenberry’s (creator of Star Trek) son, Eugene Roddenberry, discusses UFOs and aliens with investigative documentary filmmaker Jeremy Corbell. Eugene says neither he or his father, who passed away in 1991, saw a UFO, that he is aware of. However, he does believe in “life on other planets,” and he believes one day those who are searching for life elsewhere will find it. 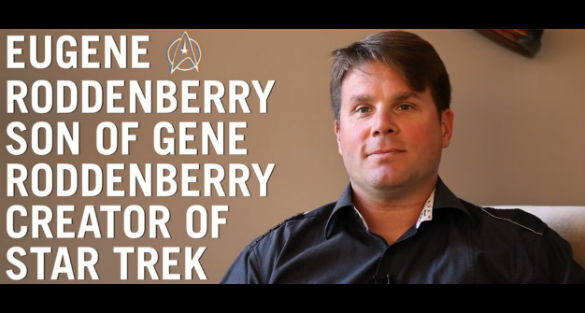 EUGENE RODDENBERRY / speaks about Star Trek, extraterrestrial life, UFOs, advanced technologies and alien life forms from JEREMY KENYON LOCKYER CORBELL on Vimeo. Eugene is a television producer and keeps his father’s work alive as the CEO of Roddenberry Entertainment. He is an executive producer of the franchise’s news series Star Trek: Discovery on CBS’ streaming service CBS All Access. Either way, he encourages those researching UFOs and alien life. The first contact between humans and an advanced intelligent extraterrestrial species (Vulcans) portrayed on Star Trek: First Contact. Watch the interview, and let us know what you think below. For me, I can’t help think about the scene when humans met extraterrestrials for the first time in the Star Trek franchise, which I believe was first portrayed in the Star Trek movie First Contact. Some of you may believe such a meeting has already taken place. I am not so sure, but when it does I hope to be there. If there is any justice in the universe, one or more of us in the UFO field will be, and that will be one hell of a selfie! For more about Jeremy Corbell, visit his website at ExtraordinaryBeliefs.com.